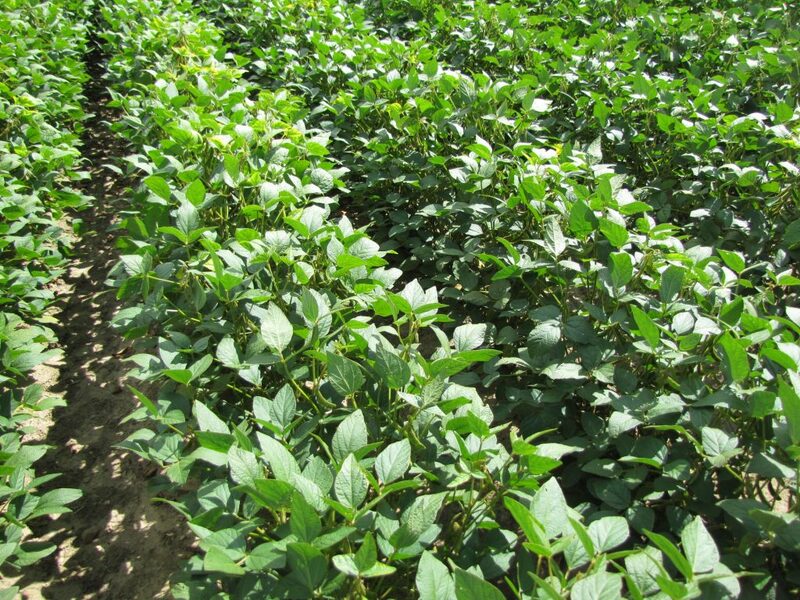 Early planting has been adopted as a management strategy to achieve maximum yield in modern soybean production. There is considerable evidence that soybeans planted in late April and early May yield more than beans seeding during the second half of May. Ontario trials have shown that in some years early planting can provide a 10 bu/ac yield advantage. In the US corn-belt aggressive producers have now even pushed planting dates into March aiming for super yields. So, should a grower consider planting soybeans before corn in southwestern Ontario? First, let’s consider why early planting provides more yield. One of the main factors is that early planted soybeans harvest more sunlight. The rows canopy earlier so there is less sunlight wasted during the first half of the growing season. And even more importantly, early planted fields capture the “best” sunlight before the days begin to shorten in August. Having the longest days of the year correspond with key plant growth stages is important to big yields. The long summer days in Western Canada are one of the reasons soybeans can be grown in such short season areas. Also, an early seeding date allows plants to produce more nodes. This leads to more pods per plant and higher yield. However, field experience has shown, that early planting does not always provide more yield. So why not? An experiment was conducted at the Winchester Research Station to demonstrate that variety selection is important when deciding to plant early. 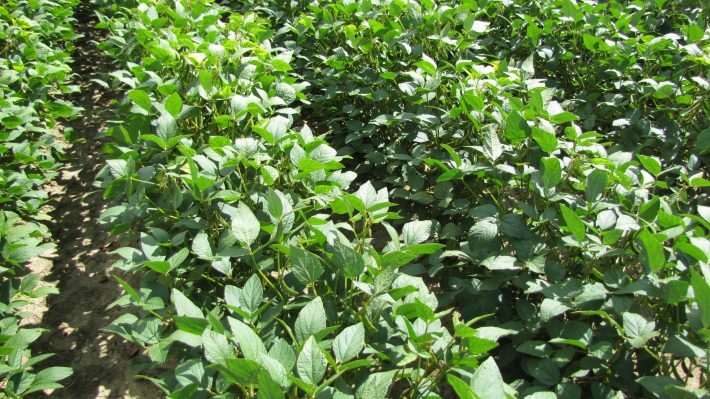 The yield response to 3 soybean varieties were measured at a relatively early planting date given the season (May 10), a late May and a June date. Varieties were chosen over a range of maturities from a full season variety for that location (1.0 RM), a 1.6 RM variety and a 2.3 RM variety. Each decimal point in the soybean Relative Maturity system equals about a one day difference in maturity in the fall. The results were compelling. Averaged across the varieties there was a large advantage to planting earlier in this study, about 5 bu/ac more over a late May planting date, and 15 bu/ac compared to the June date. Perhaps the most important observation made was that the longer season varieties did not actually yield more when seeded in late May or June compared to the short season beans. All the varieties yielded essentially the same when seeding was delayed. But, the longer maturing varieties did yield more at the first planting date. Choosing a longer season bean (1.6 RM, or about 6 days longer maturing in the fall than the adapted 1.0 RM) yielded 5.4 bu/ac more. Choosing the very late maturing variety for that area (2.3 RM) yielded 7.7 bu/ac more. This experiment clearly shows that if choosing to seed early a relatively long season variety is the best choice for big yields. So, should a grower consider planting soybeans before corn? Since both crops suffer large yield reductions from late planting the best answer might be to suggest that both crops should be planted at essentially the same time, especially in southwestern Ontario. If soil, temperature, and moisture conditions are suitable for planting corn they are also generally suitable for planting soybeans.